Sweden is calling on gamers around the world to participate in a collaborative effort to create a new breed of computer games. The new Democreativity website, which launched yesterday, is an online tool that pairs concepts of democracy and creativity with the goal of promoting diversity and new ideas. The initiative is being launched by Visit Sweden, the Swedish Institute, and Business Sweden in conjunction with that country’s computer gaming industry. The group seeks international input to develop games featuring alternative formats, characters, gameplay, story lines, heroes and heroines, and ways to win. The newly launched web site allows submissions including brand new game ideas or adding to the ideas of others. 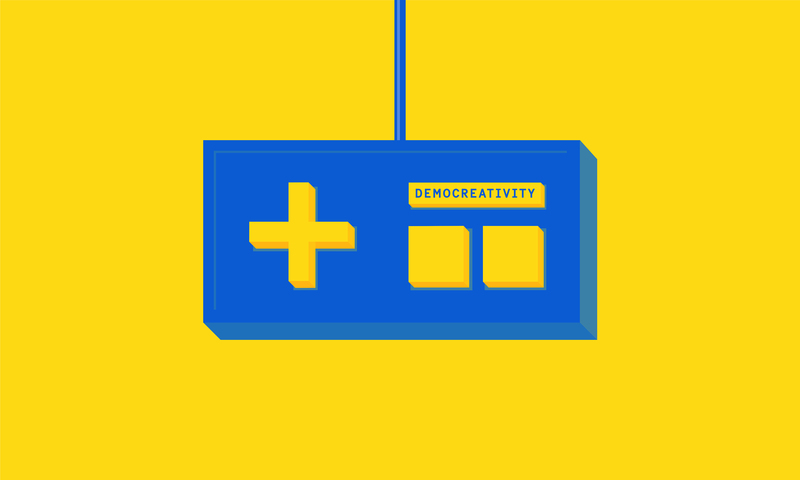 Democreativity is a web tool to gather alternative ideas about how to construct video games. The games community and industry experts will eventually sort through the website ideas and bundle them into a creative brief that will be available to everyone who wants to create a game. It will also be shared with students at Sweden’s University of Skövde, who will be tasked with developing a number of games as part of their curriculum. No idea is too wacky, but all proposals must conform with Swedish law, respect peoples’ privacy, and not be spam. If the past is any indication, Sweden, whose games industry is responsible for international hits like Candy Crush Saga, Battlefield, and Minecraft, has all the Democreativity prerequisites. Sweden has ranked first among nations for creative expression and impression—representing a high receptivity to new ideas. This is hardly Sweden’s first foray into mass collaboration. Three years ago, the country began allowing its good citizens to take control of its official Twitter account.